Olives, after being picked by hand, are brought to be washed as soon as possible and crushed under stone presses. The resulting paste is placed under high pressure, producing oil and water, which are separated in a centrifuge. From this is obtained extra virgin olive oil. This procedure is called a cold press because the temperature does not exceed 18 degrees Centigrade. This oil is called the "first squeeze," and is the most prized of the pressing because it possesses perfect organic characteristics and an acidity less than 4 percent. Sales Promotion Olive Oil "Bongustaio"
COD. 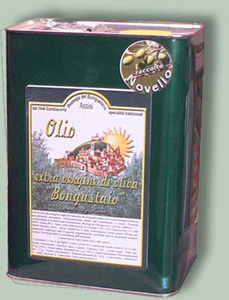 O11 EXTRA VIRGIN OLIVE OIL "BONGUSTAIO"
The extra virgin olive oil of superior category, produced 100% Italian, directly extracted from the olives and entirely through mechanical procedures. Produced in exclusive for the Bottega del Bongustaio, this oil has been bottled without being filtered to maintain unchanged the qualities. 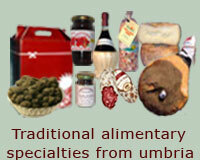 Suitable for all the seasonings to raw, characteristic of the Mediterranean diet. 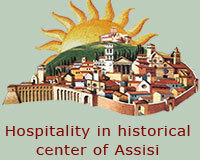 It is the principal ingredient in the bruschetta with oil and bread cooked to firewood. The extra virgin olive oil to Denomination of Protected Origin (D.O.P.) it is extracted from olives hand picked along the Umbrian hills and then pressed by a stone mill and processed without heating maintaining the flavour and fragrance of the olives used and producing a mild, light olive oil with an acidity l even of less than 0.4%. An ideal dressing or condiment. Sapa is a sauce made by boiling wine that has not been aged. It is boiled in a copper container over a low flame. After, it is kept sealed in a bottle for a long time. Just a few drops of sapa give a new flavours to grilled or boiled vegetables, roasted meats, sweet or sharp cheeses, fruit salads and such. An exclusive condiment for gourmet dishes does not contrast with the accompanying wine. Prepared with Passito grapes which have been left to age for years in small wooden barrels of alternating oak, chestnut, cherry, ash, robinia, juniper and mulberry. Use only a few drops on hors-d’œuvre or dessert. It is unique. Three bottles of extra virgin olive oil every ml. 250, spicy one to the peperoncino, one to the basil and one to the mixed aromas (juniper, sage, peperoncino, laurel, pepper and garlic). A wise dosing of natural ingredients. Good seasonings to raw for every dish. 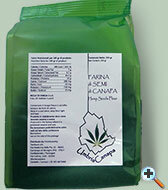 Sapa sauce is available in bottles of 130 ml and 500 ml sizes. Wine's vinegar, of superior quality, aged 25 years it is characterized by a dark and amber color, resulted of the slow aging in ancient oak barrel as in the ancient country tradition. It derives a vinegar of exceptional quality of it, natural, without dyes neither preservative, of soft, delicate and rich taste of pleasant perfumes. 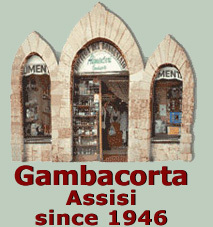 Balmy vinegar of high quality produced from the most ancient house of production of balmy vinegars according to the original recipes of the family tradition. Aged for years in secular barrel and kegs matured by the perfume of all the vinegars that they are passed you in the years. It is recommended the taste in point of spoon to taste the harmony between the sweetness and the acidity to decide the dosing to use on the dish. This Balmy Vinegar in Modena grown old represents an excellent synthesis between tradition and quality. Produced in limited number of bottles after a long refinement in oak and chestnut tree barriques. Creamy and soft it has an intense perfume, with tendency to the dessert, rich and covering in comparison to the acidity. And excellent to raw in the mayonnaise, in the sauces for boiled or fishes, in the rice with vegetables, on the cheeses seasoned on the fruit. It doesn't contain dyes of it allergen.